Saint-Petersburg Institute of History of the Russian Academy of Sciences is one of the leading research institutions of the Russian Federation in the sphere of Russian and General history. 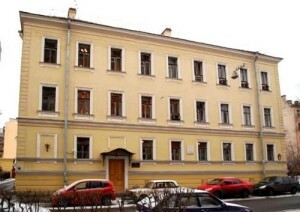 Many famous scholars, well known both in Russia and abroad, work in the institute. Institute has a long history and established contacts with many famous foreign scholars. Institute prepares the best specialists by carrying out specially designed post-graduate and doctoral programs and provides an opportunity to defend theses on Russian and General History at the Dissertation council for all the candidates. Scientific archive and branch of the Library of the Academy of Sciences are a part of Saint-Petersburg Institute of History.